The StraightLine organization system brings design and function to your drawers and pullouts. The StraightLine system of drawer and pantry organization is now available in three finishes, ranging from light to dark to complement any kitchen design! We're proud to introduce StraightLine's newest addition, Black Ash, to the North American market in 2018. This beautifully painted wood brings elegance and contrast to your kitchen organization. Walnut adds a rich, refined look to your kitchen. 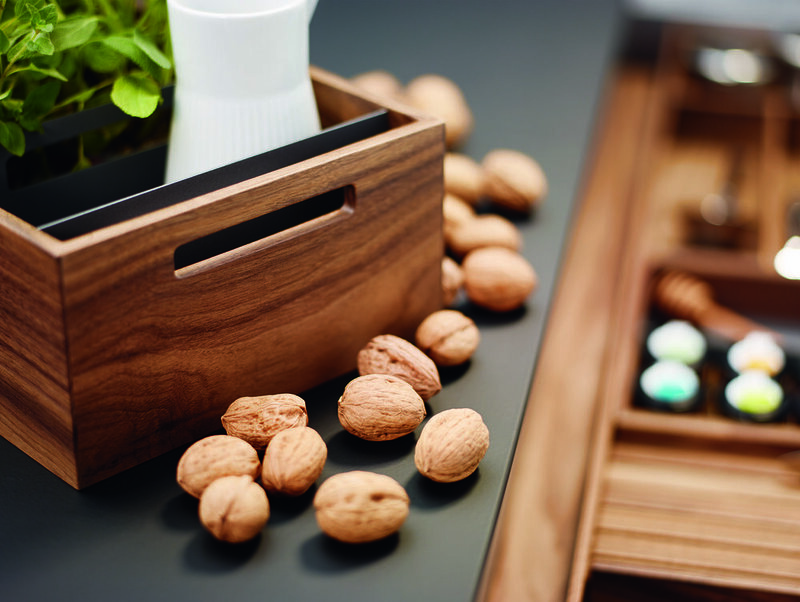 With warm tones and strong grains, walnut will make you want to open your drawers and pantries again and again in admiration. Birch brings a clean, modern look to the StraightLine organization system. This classic wood complements the design of virtually any drawer box or pantry pullout. 25 drawer accessories create limitless mix and match possibilities!